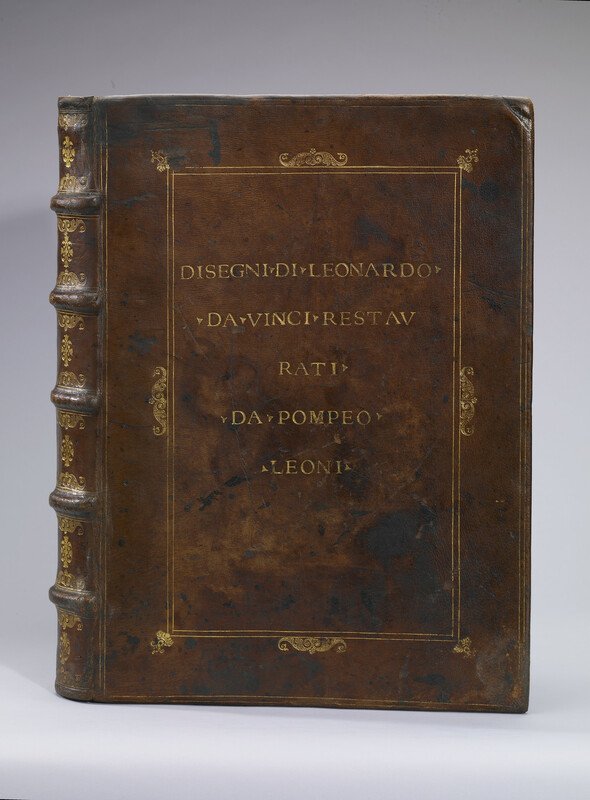 This is the binding of the album made up for Pompeo Leoni in the late sixteenth century to house over 500 of Leonardo’s drawings, including all the anatomical studies now known. The album was brought to England, probably by the agents of Thomas Howard, 2nd Earl of Arundel, around 1620. By 1690 the album was in the Royal Collection, probably having been acquired by Charles II some years earlier. Leonardo’s drawings were removed from the album, to protect and display them, during the nineteenth century.